House of Hiranandani presents to you ‘Loko Poko’ - an initiative designed to give your bundle of joy the cocoon of warmth and care that you wish to envelop them in always. It is a home away from home with an enriching experience designed to be friendly, safe and educative. ‘Loko Poko’- offers personal care and attention to children between 18 months to 10 years. The center is designed aesthetically to replicate an environment that feels as safe, warm, loving and comfortable as home. We ensure the highest standards of safety and hygiene. 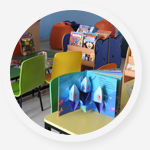 Our classrooms and play-areas are surrounded by age-appropriate materials that propel the child’s holistic growth and development. The intuitively designed outdoor play area is well-equipped with equipment for a stimulating environment. Our specially crafted activities are directed to enrich the child’s experience and help him grow in all aspects. 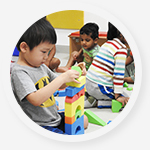 Our caregivers and support staff are well-trained in Early Child Care and Montessori Education. 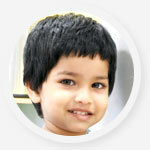 We assist in nurturing the child’s skills with diligent love and care. Loko Poko does not permit parents to visit the children during these timings without prior intimation.